These drawings are enough for a wicked blog, but that’s not what I’m writing about. 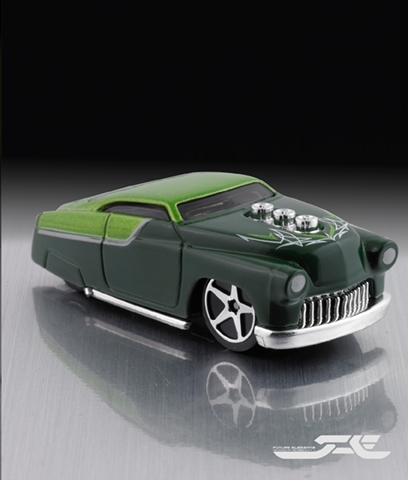 As I was thumbing through some of Dwayne’s work, I see one of my favorite Hot Wheels, simply named 49 Merc. That’s a very interesting story. I was taking a class for 3D using Alias Autostudio while working at Troy Lee Designs and I was learning how to build things in 3D. I got to know a few guys in class and they were all professional working for various companies. I started hanging out with one guy but I never asked what he did. We both had such a passion for cars that we just talked about cars all the time. Then one day he asked me “Do you have any friends that can draw cars well?” He was thinking since I was at Troy Lee Designs that I didn’t know how to draw cars. So I said “ Well I know how to draw cars, why? Then he said “ I am looking for someone to hire because we need help… I am the director of Hot Wheels and we looking for some good guys.” My eyes lit up and I said “I would love to draw cars for Hot Wheels, what do I need to do to apply” So he told me to bring my portfolio to him next time and he’d take a look. I brought my stuff and he basically hired me right there on the spot. I was at Hot Wheels about 3 weeks later and they gave me my first Hot Wheels to design which was the 68 Mustang “Boss Hoss” and the racing Lexus IS. Then I worked on various toy lines and several basic cars. 2) If you were a big hot wheels kid, (who wasn’t?) what was your favorite hot wheel? Mmmm, good question. Well first I’m going to be biased and pick one of my own designs and that’s “Bully Goat”, What I thought the GTO should have looked like. Just for the record I designed it before the new Camaro ever came out, it has some similar characteristics. But as a kid one of my favorites was probably “Iced-T” I had several of them so if I lost one I had another one. I always wanted to do a remake of that model. 3) What kind of guidance did you get from Hot Wheel/Mattel about the design? Did they want a sled? If so, why do you think they picked you? Yes I did have some guidance. 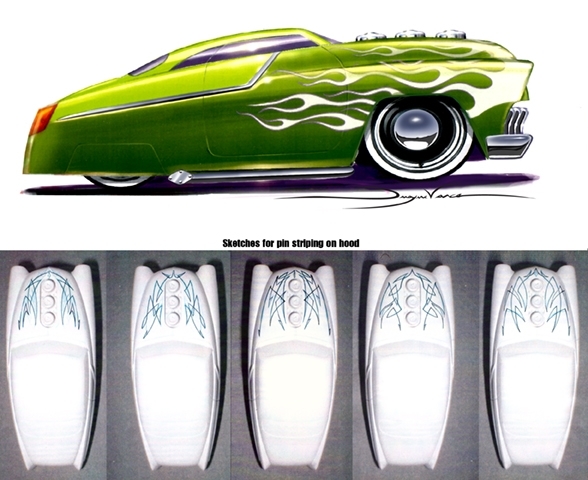 Hot Wheels wanted several designs done that had different proportions for vehicles. Me and another guy Eric worked on this stuff and he actually drew the proportion with the big front end. So I added my take on it and I drew the 49 Merc to fit those proportions and everyone loved it. 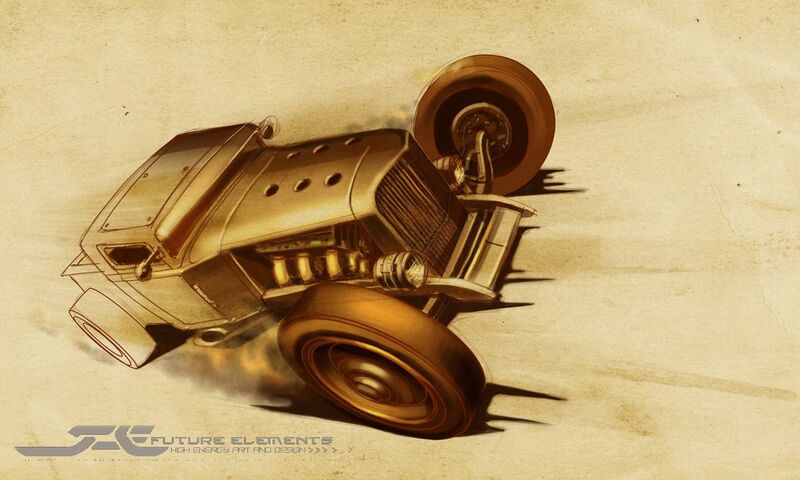 4) Anything we don’t know about the car/process that’s cool/unusual/interesting? Well most of cars are built 3-up. So it is 3 times the size of the original Hot Wheel. I have My “Boss Hoss” and 64 Impala models. They look really cool when they are bigger. Dwayne told me: I recently had a friend tell me about a drawing program for a Nintendo DS called “Colors”. The only way you can run it though is by modifying the DS with a Flashcart and a micro flash card. Basically it replaces a game cartridge and allows you to run new software on it. Then you install Colors and use it as a small digital sketchbook. It is really fun to doodle on. It is kind of like having a digital sticky pad with me all the time. It’s funny I draw for a living and I still love to draw in my free time. So the drawing I did probably took about an hour and a half total. I did it with nothing in front of me I just started doodling and this is how it came out. Here’s a pic of the finished sketch. Too much! I gotta let my son see that so maybe he’ll give Star Wars and Mario Karts a rest! Dwayne’s got some new stuff coming out soon. 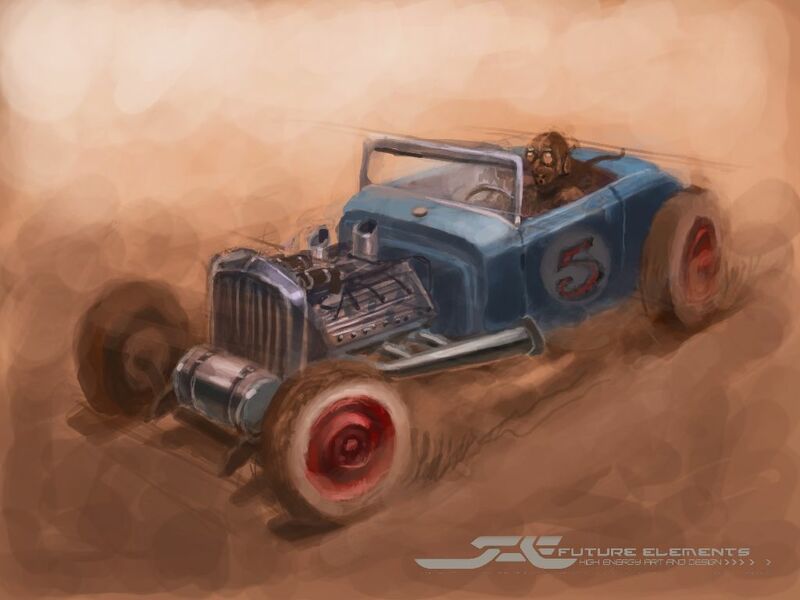 He’s making a book for the LA Roadster Show that will feature a lot of my sketches and artwork. I will also give an incite look on how I create a few of my drawings. He’s also got a few new pieces that will be on hand patined metal. Then, check out his website for a step by step process of how I work and get my art on the metal. The store for all of the $10 artwork and the tutorial section just went up. I hope you enjoyed this blog as much as I enjoyed meeting Dwayne. Look for stories in the future. Want to have a look around this website? Start here in the Killer Garages. Thanks for looking! If you like what you see, please JOIN! More from Dwayne Vance. 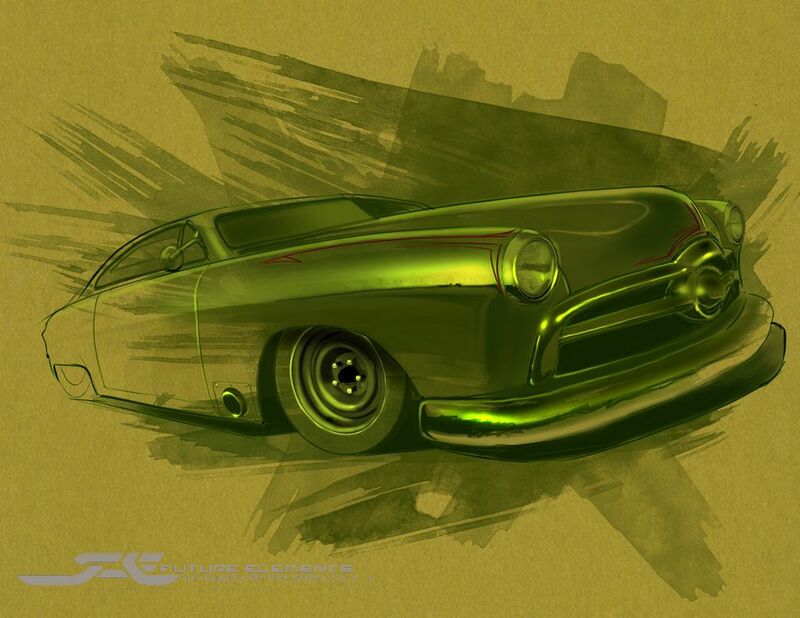 Here’s a link to his new book called, “Hot Rod Art Book, Masters of Chicken Scratch”. Get it in advance and save $5. Very cool to see Dwayne and his work featured here… Truly a class act, and by far one of the most talented folks I know! From pencil on paper to paint on canvas, this guy can do it all, and VERY, VERY WELL. Killer work with the Nintendo DS… just outstanding!